WASHINGTON, DC (Sporting Alert, Box Score) — Bradley Beal and Marcin Gortat combined for 48 points as five Wizards players scored in double-figures in Washington’s 111-95 win over the Los Angeles Lakers on Wednesday night. Beal was the main contributor in the scoring column for the Wizards (11-5) with 27 points to go along with his seven assists, while Gortat grabbed 21 points and 11 rebounds in the win for the home team at Verizon Center. John Wall delivered 17 points and 15 assists and Kris Humphries pulled down 20 rebounds, including 16 at the defensive end for Washington, which picked up its third win in a row and eight of its last 11 games. 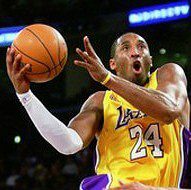 Kobe Bryant finished with a game-high 29 points for the Lakers (5-13), which had its two game winning streak snapped. The champion guard got off to a hot start — shooting 6 for 11 from the floor for 15 points in the first quarter — but missed nine of his last 11 attempts to end on 8 for 22. Nick Young hit 5 for 8 from three-point range to finished with 21 points and Ronnie Price added 11 points off the bench in the defeat for the travelers. Los Angeles led 33-27 at the end of the first quarter and then extended that lead to as many as 10 points with Young hitting a pair of threes and Ronnie Price adding another as the Lakers increased their advantage to 44-34 with 7:09 left in the third quarter. However, Beal and Paul Pierce took over in the closing minutes of the third quarter for the Wizards, who went on to take a 54-52 lead heading into the final section. Washington scored 51 combined points in the second and third quarters, while Los Angeles was held for 36 in those two quarters combined. Carlos Boozer ended 11 points and eight rebounds for the Lakers, with Pierce finishing with 14 points and five boards and Rasual Butler chipping in with 14 points for Washington. The Washington Wizards, which shot 48.4 percent as a team from the field out-rebounded Los Angeles 53-43 and out-assisted the travelers 33-16. Wall and the Wizards, who are sitting first in the Southeast Division, will next face the Denver Nuggets at home on Friday. Kobe and the Lakers will be at the TD Garden against the Boston Celtics, also on Friday.